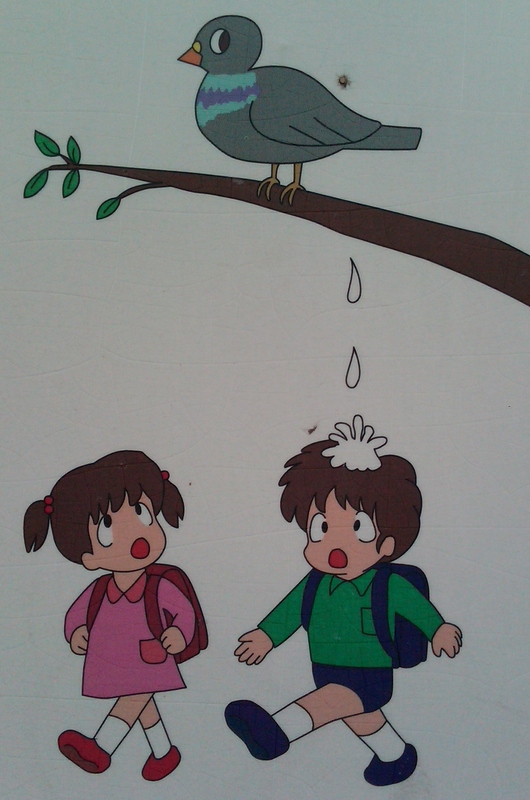 In my life, I’ve been shat on by a bird on 3 occasions. 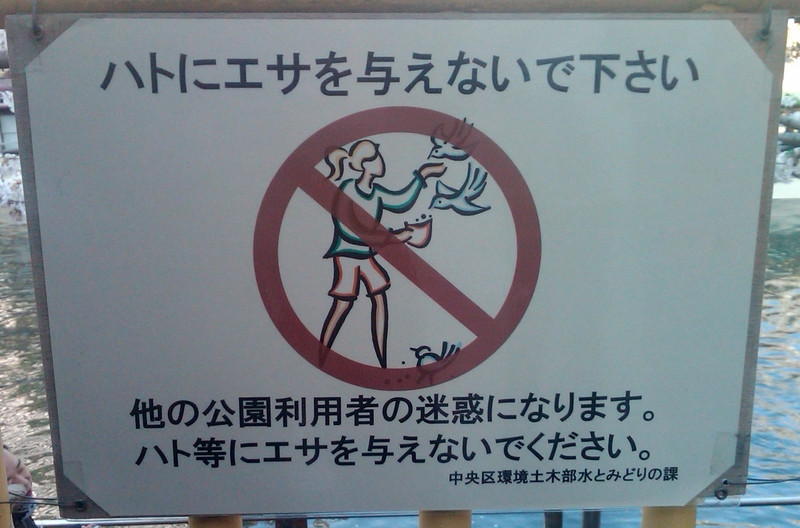 Never once has this happened in Japan. 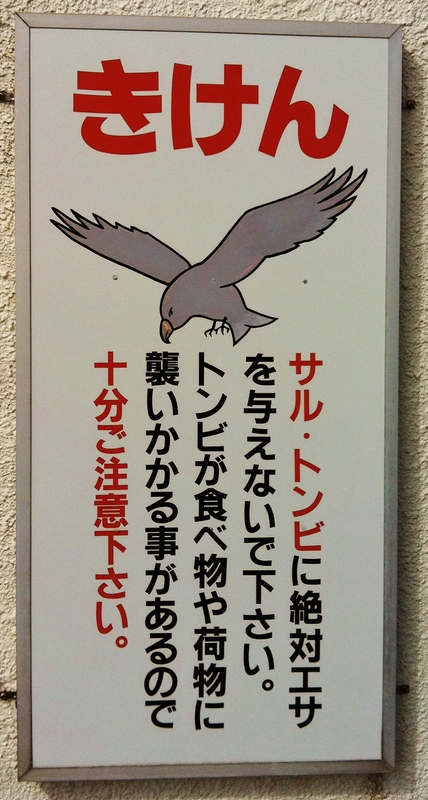 Perhaps it’s because they have such good signage. 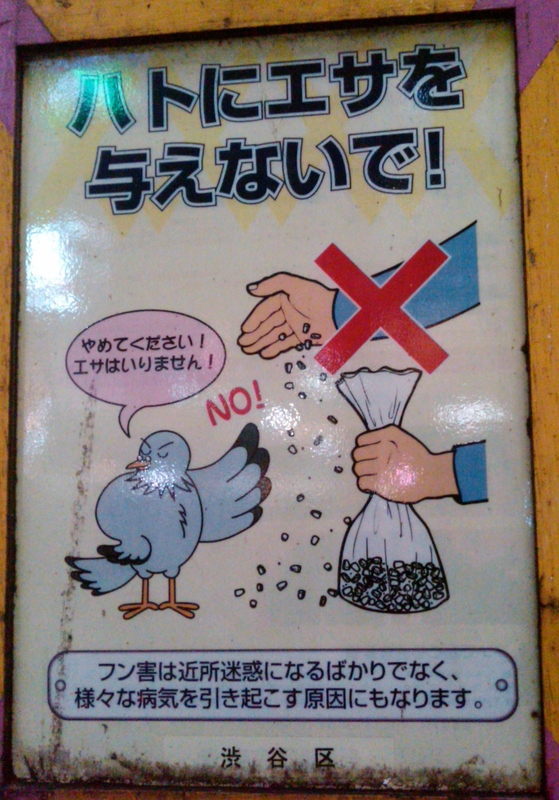 In public parks, town squares, and other gathering spots, there are signs reminding us not to feed the birds. 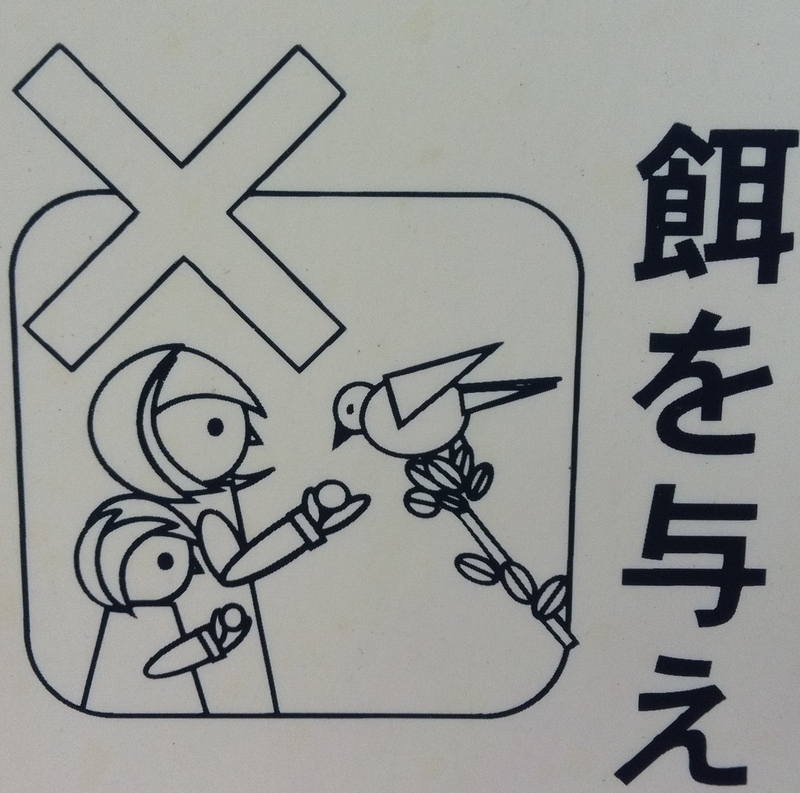 Some of the signs show a person feeding a bird, with the ubiquitous red “X” indicating that such behavior is not appropriate. 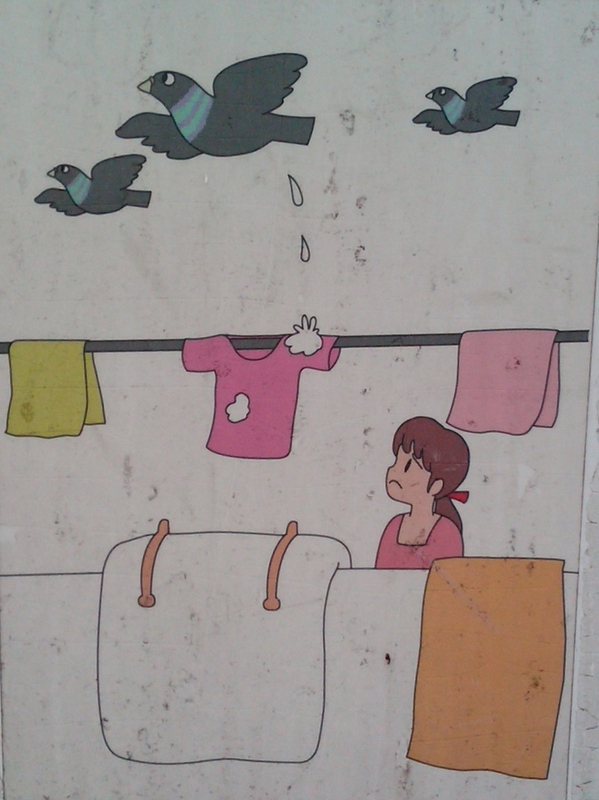 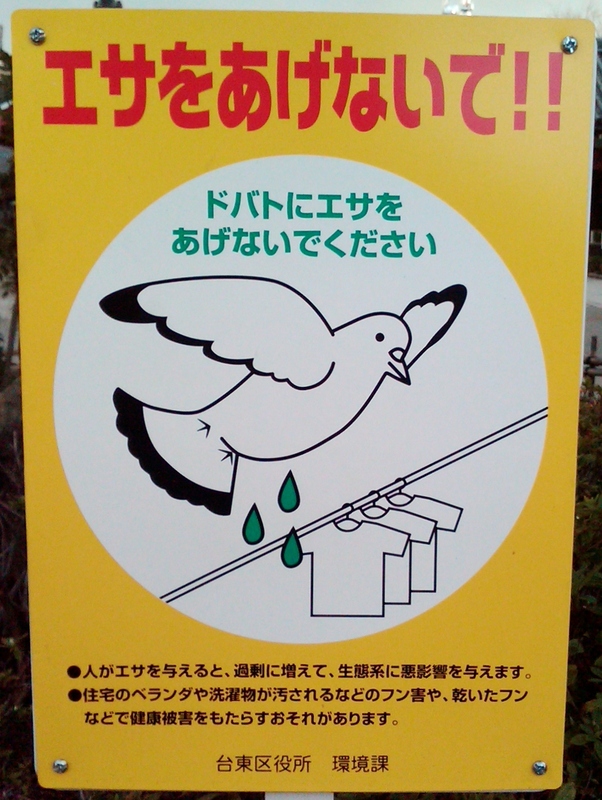 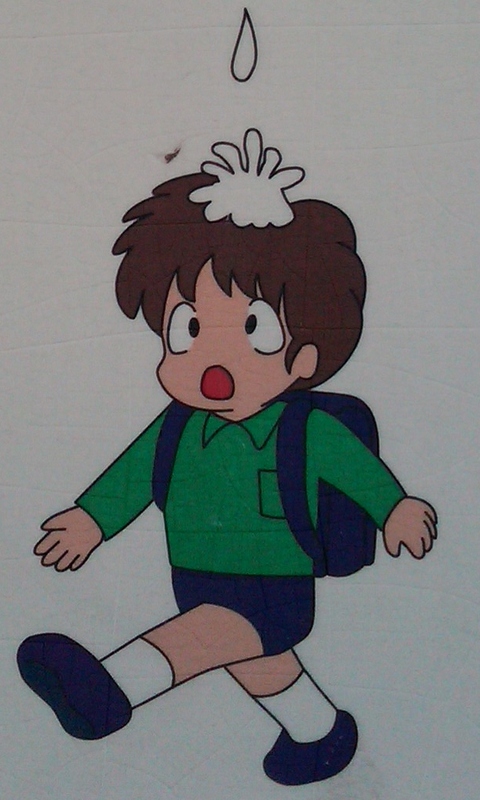 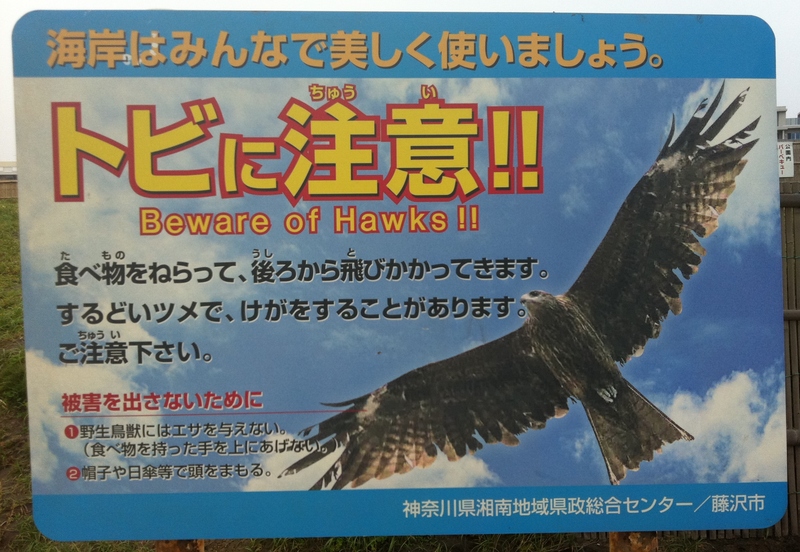 More entertaining are the signs illustrating the danger of birds: poop. 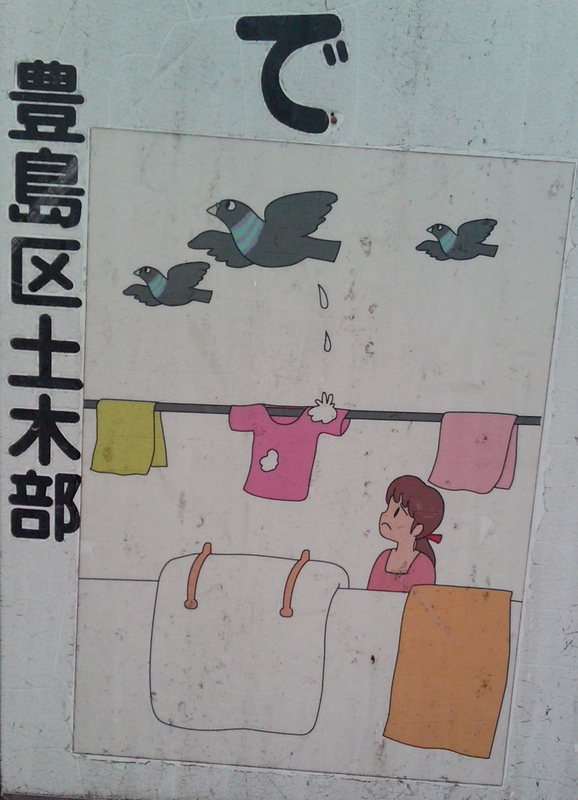 Lots and lots of bird poo. 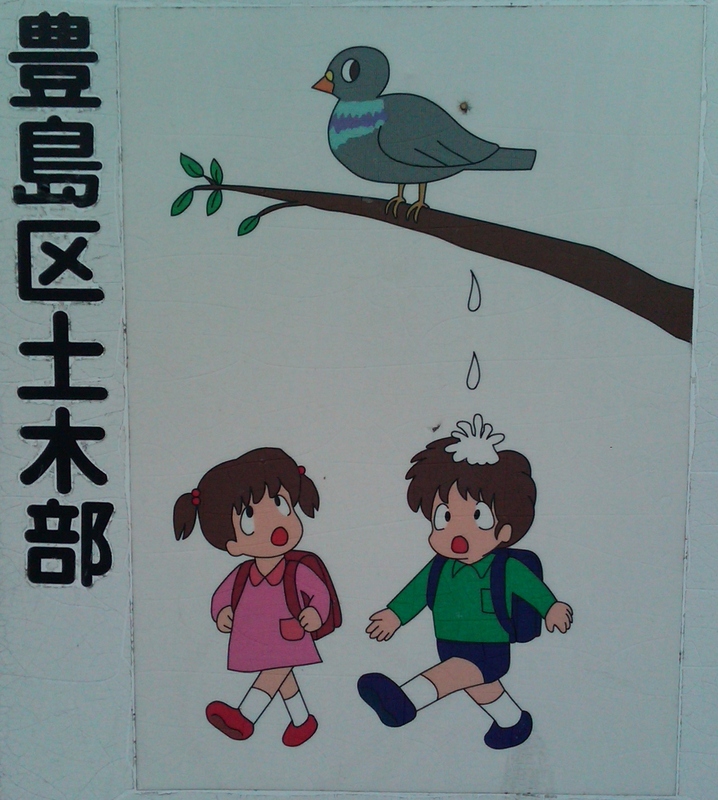 I would love to meet the artist who designed this sign (at right) depicting a bird evacuating its droppings onto the head of a schoolboy. 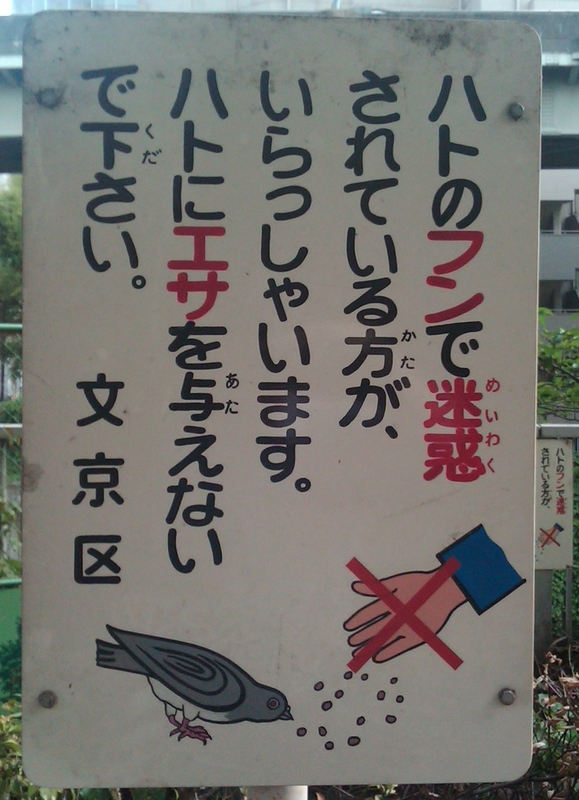 And I would also love to meet the municipal official who approved this sign. 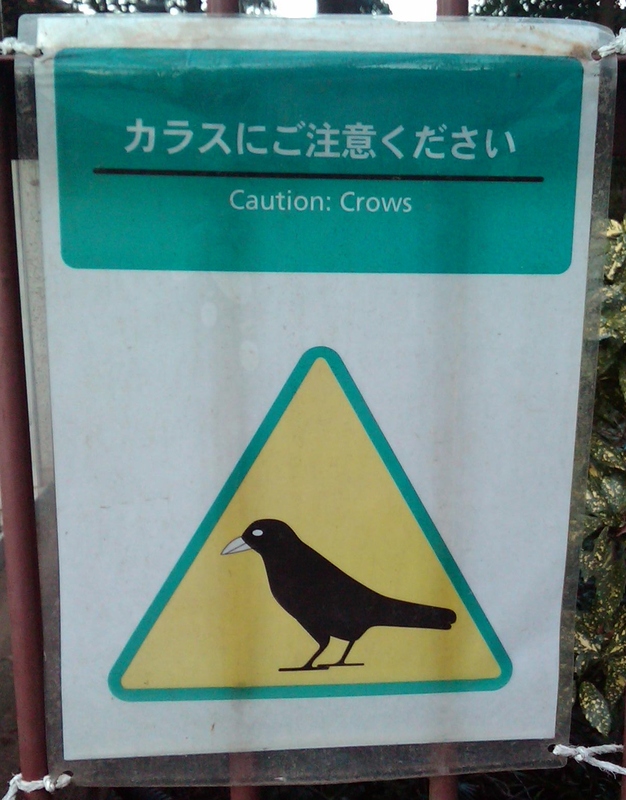 Well done, sirs. 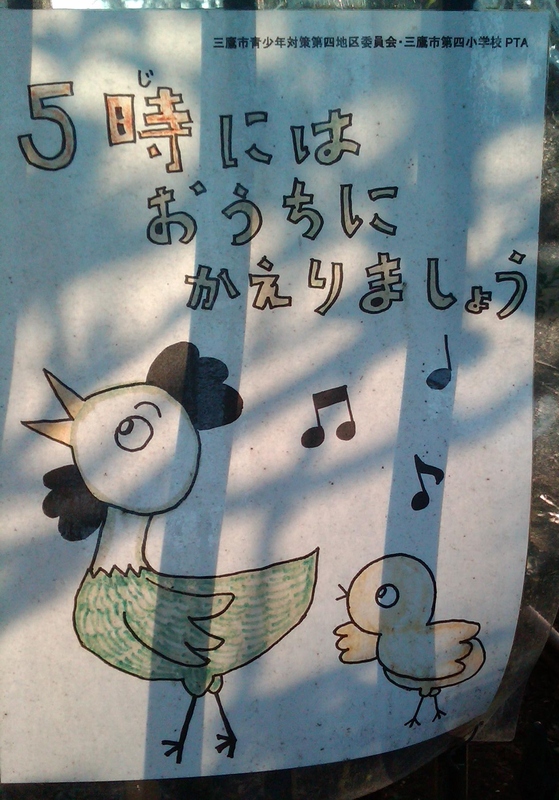 I still remember where I was when I saw this. 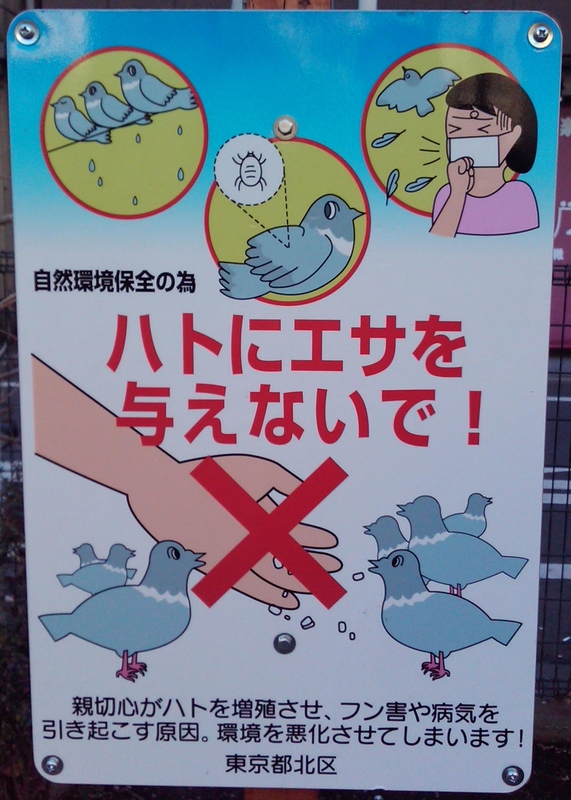 And I assure you, thanks to your efforts, I returned home that evening bird poo-free.